CU law students Karthik Venkatraj and Eric Hapner posing before a mission. Our nation continues to experience a groundswell of support for our veterans — a welcome change from the horrific treatment of our Vietnam-era veterans — but we still have much work to do. As a nation, we have to move beyond “thank you for your service” to a deep scrutiny of the issues impacting our veterans in order for our veterans to transition successfully. We have to tap into the energy, ingenuity, intelligence, determination and dedication that have defined our armed forces over the past 10 years. We have soldiers, airmen, marines and sailors who can negotiate and work with different cultures as easily as conduct combat operations. These men and women have built a legacy of excellence overseas in the midst of complex and difficult tensions. That is why I am convinced that the thousands of transitioning post-9/11 veterans — many of whom are using the GI Bill like our WWII veterans did decades before — will be the next greatest generation. So, I challenge my fellow Americans to think about how we are going to be a part of this narrative at a time when our nation is at a crossroads. It is a time where we can easily slip into a secondary role or continue to be the leader of the free world. I truly believe that part of this answer lies in our transitioning veterans. These men and women have already been our ambassadors of leadership overseas. What, then, can we do to transition veterans? 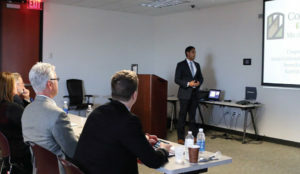 In mid-September, Student Veterans of America hosted a leadership summit in Phoenix for student veterans in the region. Bank of America sponsored the entire summit and hosted us in their Phoenix office. Through leadership seminars and business plan development, we were all given insight into bettering our marketability and furthering our transition. Bank of America flew in their director of military affairs, as well as a panel of recruiters, to answer our questions about transitioning and career opportunities. After our business plan seminar, we were paired with Bank of America leaders to construct a business plan for our respective veterans organizations in order to apply for grant money. Bank of America’s enduring message was its commitment to hiring veterans and helping us transition to civilian jobs. Most powerful of all, Bank of America brought in several veteran speakers, many with narratives that we share, to speak about their transition. Most of these veterans were members of the Military Support and Assistance Group (MSAG) within Bank of America. The summit ended with a financial literacy session for veterans. This entire experience shows that there are institutions that are taking the lead on helping veterans transition. 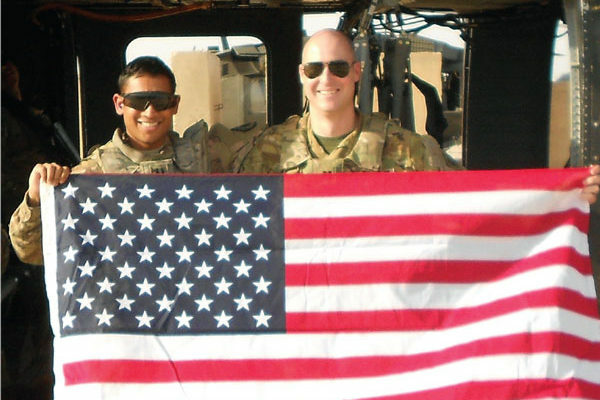 Karthik Venkatraj is a captain in the Colorado Army National Guard and completed a combat tour in Iraq in support of Operation Inherent Resolve, our nation’s war against ISIS. He is the president of CU Law’s Student Bar Association. He previously served as a past president of the Military Law Society, co-managing editor of the University of Colorado Law Review and an executive editor on the Harvard Journal on Law and Public Policy. He can be reached at kave7403@colorado.edu.